At a low key virtual event in Singapore, Nokia just took the wraps off the new "accessibly-priced" Lumia 525, a variant of the successful Lumia 520. Powered, out of the box, by the latest Nokia Lumia Black version of Windows Phone 8, the Lumia 525 has a 4" screen and 1GB of RAM, along with the usual Nokia imaging apps, maps and navigation from HERE, and free music streaming from Nokia MixRadio. The Lumia 525 will be available in gloss orange, white, yellow and matte black and with changeable shells, starting in Singapore from 14 December at the suggested retail price of SGD249 (€146 / £122) at Nokia Stores and Nokia Solution Partners. The low key nature of the Lumia 525 launch suggests that the global roll out of the device will be gradual, primairly driven by operator requests and requirements. 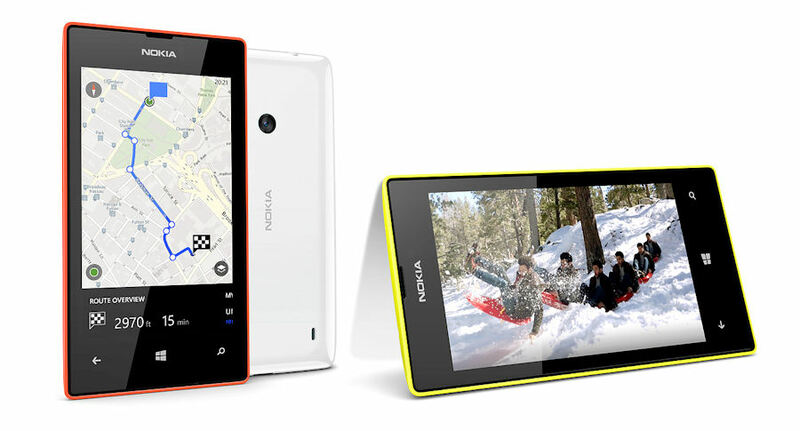 For example, Nokia currently has no plans to bring the Lumia 525 to the UK. As with the Lumia 920 and 925, the the two devices are likely to co-exist in the market for some time to come. 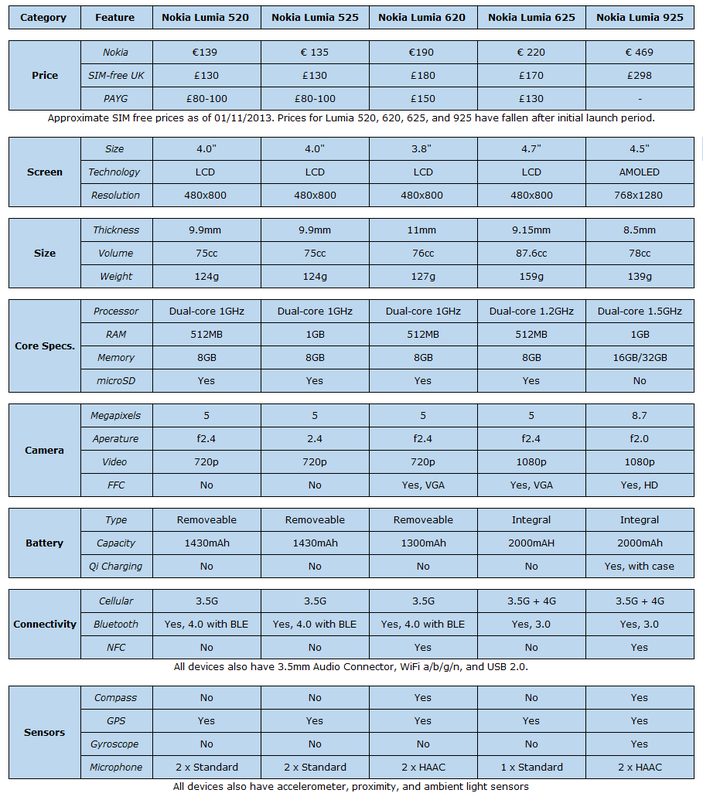 The Lumia 525 is a very minor upgrade to to the Lumia 520, with the only significant difference in the specification sheet being the presence of 1GB RAM, rather than 512MB. There may also be other internal or component differences, with an aim of lowering the bill of materials and/or constructions costs, but this is not readily apparent from the information that Nokia has released. In terms of outward appearance the Lumia 525 is indentical to the Lumia 520, with the same size measurements. In its promotional material Nokia emphasises the screen (4" IPS LCD, WVGA resolution, super sensitive touch), the Snapdragon S4 processor (Dual-core 1GHz with 1GB RAM), and the 5MP auto focus camera. Despite the RAM boost, the Lumia 525 remains very much a low specification Windows Phone device. There's no front facing camera, no NFC, and no compass or gyroscope sensors. However, as has been proved by the popularity of the Lumia 520, these points should not be a concern for most consumers considering buying the device. The Lumia 520 has, in sales volumes terms, been Nokia's most successful Windows Phone device. More than 20% of the global installed base for Windows Phone is made up of the device, more than double that of the next most popular device. The Lumia 520's popularity has been driven by its low pricing, with the device available for £100 or less (or local equivalent) on pay-as-you-go in many markets. The Lumia 525 should follow in the footsteps of its sister and, in the markets in which it is made available, we expect it to become the best selling Windows Phone devices in the months ahead. The Lumia 520 is a low specification Windows Phone device, with the key dividing point between high and low being the processor and the RAM. While the slower processor does have an impact on the speed of the device, it is the amount of RAM that is more significant. That's because Windows Phone 8 devices with 512MB RAM are unable to run some app and games. While the number of apps and games involved is relatively small (0.24% of all apps and games in the Windows Phone Store), there are a number of high profile game titles on the incompatible list (e.g. FIFA 13, N.O.V.A.3, Tiger Woods 12, Mass Effect:Infiltrator, The Amazing Spider-Man, Cracking Sands, Gerbil Physics, MONOPOLY, Rocket Riot, and The Sims 3). The key take away is that the newly announced Lumia 525 will not have these limitations. Every title released for the likes of the Nokia Lumia 925 and Lumia 1020 should be equally available to this far cheaper device. In this light you might call the Lumia 525, the gaming edition of the Lumia 520.